Brian has over 30 years' experience in the management and implementation of technical projects with an emphasis on commercial success. This experience has ranged from feasibility studies, consenting, design, construction, operations and maintenance, contractual reviews, and management roles through to due diligence exercises on a range of technical plant. His experience has enabled him to provide strategic advice to potential investors together with policy advice and implementation to Government. Brian has a specialisation in geothermal power, and is the ex-Executive Officer of the New Zealand Geothermal Association, a position he held for 12 years. He has had involvement on most developed New Zealand geothermal fields, and has been involved with major international developments including the Leyte projects in the Philippines and the Wayang Windu project in Indonesia. His experience is uniquely broad in that he has power station design and operational experience, along with experience in steamfield investigations and process heat supply. Brian has co-authored a range of papers and has lectured at the University of Auckland Geothermal Institute on Optimisation Studies and Engineering Economics. Brian has recently provided advice through MFAT on aspects of geothermal development in Vanuatu, and human resourcing for geothermal development in Indonesia. Brian is also providing advice through the World Bank in projects aimed to broadly stimulate geothermal investment in Indonesia, including through assistance with specific projects. He was appointed as the first Executive Officer for the New Zealand Geothermal Association in 2005 and retained that role to the end of 2016. This involved putting the Association on a commercial footing under the direction of a Board. The Association more than trebled in membership since the EO role commenced. NZGA actively informs government, public and industry on geothermal matters. 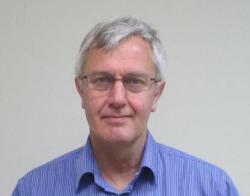 Brian was involved with direct liaison with industry and government on a range of issues. This often involved leading submissions on a range of technical and policy issues, drawing on support from a small pool of volunteers. In this role Brian was part of the organising team for the World Geothrmal Congress 2015 involving over 70 countries. The regulatory environment, providing advice to Ministers on the implementation of new policy (including carbon charge projects and "information disclosure" regimes), on impacts of regional plan changes on hydro and geothermal operations (and then on the wider economy), and monitoring aspects of the New Zealand electricity retail and wholesale markets. Involvement in other power technologies including hydro, bio-mass, thermal, combined cycle, repowering, and micro-generation as well as involvement with irrigation schemes, process steam supply, district heating, and absorption chilling. He has worked across many disciplines with engineers and scientists, economists, environmental specialists, developers, bankers, and lawyers. Brian's experience has been focused on the New Zealand market, but has taken him to projects in the Philippines, Indonesia, Vanuatu and Korea that cover both power and heat applications. This flexibility and broad cross-discipline experience has enabled Brian to participate in wider technical/managerial areas, and to add value by an ability to 'think outside the square'. Geothermal Development History of the Taupo Volcanic Zone - Geothermics, Vol.59, Part B, 2016, White, B.R. and Chambefort, I.